You listened to Episode 97 and you have your upcoming self-published book all figured out. You know what you’re writing about, to whom you are writing, how to actually sit down every day and write. Yes… you can do it in addition to being a full time architect… if you want to. You even know how to publish your book on the largest platform for selling books, Amazon.com . But that’s only half of the equation. Now that your book is ready for the world to read, you need to get to work and let them all know that it’s available. 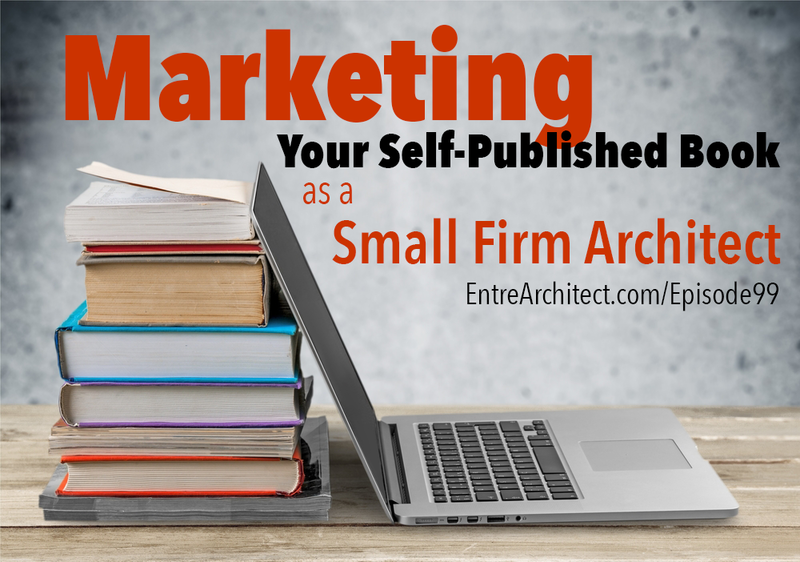 This week on the EntreArchitect™ Podcast, we have the 4th in the Field Guide Series and Part 2 about self-publishing your book. 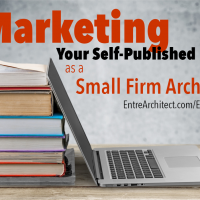 This week, Eric Reinholdt of 30X40 Design Workshop is back to talk with us about Marketing Your Self-Published Book as a Small Firm Architect. A simple cloud-based tool for creating and managing field reports. The easiest way to send invoices, manage expenses and track your time. For an exclusive tour inside FreshBooks, join me and Tim Lee from FreshBooks at this free video series.